Great website design gives your reader an immediate impression of who you are. The colour choices, style of written content and overall layout will deliver the first impression of your business to a prospective client and persuade them whether to click away or book an appointment. All decisions surrounding your website should have these 3 key points in mind. The internet has changed a lot in the past 20 years and Google now has a large influence on how internet content is delivered. This includes a number of changes over the year including the impact of mobile devices. Given the fast changing nature of the internet, it is best to keep your website design simple so that it remains flexible to any changes in the future by standard internet practices. Before you decide on your own website design it’s a good idea to review some of the websites that you personally like and gain some understanding as to why you like those designs. If you like a website because of its unique artistic features, then it may not always suit your website best, however, if you found you like a design because it was easy to use and you could find the information you were looking for quickly, then this is a good function to integrate into your website. Once you have a collection of websites that feature the type of design that you like, you can either create a list or create a Pinterest Board. Remember to only save websites that you recall having a good experience with in terms of usage as you want to replicate that good experience for your own clients. In addition to the websites you have collected above, it’s also a good idea to have a general idea of the type of content that you wish to have displayed on your own website. This includes an About Page, Contact Us page, a booking page, a blog etc. To create a website, you can either hire a website creator or DIY and build your own website. If you hire a website creator they will either create your own unique website (most expensive option) or use a predesigned theme and tweak it for you. If you are doing the DIY option, it’s best to use a predesigned theme. There are a number of design companies that offer themes for purchase. Some companies also offer a membership option that provides you with access to a large number of any themes to use. If you’re using a website creator you can show them your Pinterest board or collection of links and they can work with the inspiration you’ve provided. 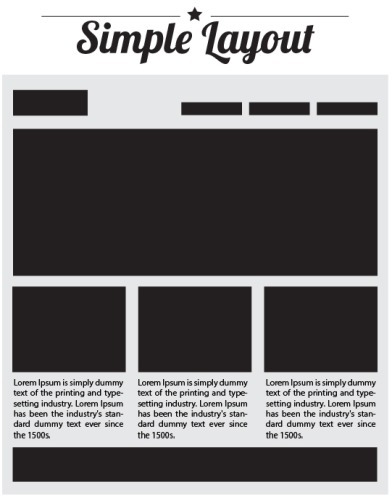 Alternatively, you could provide them with a general guideline of how you would like your website layout to look. 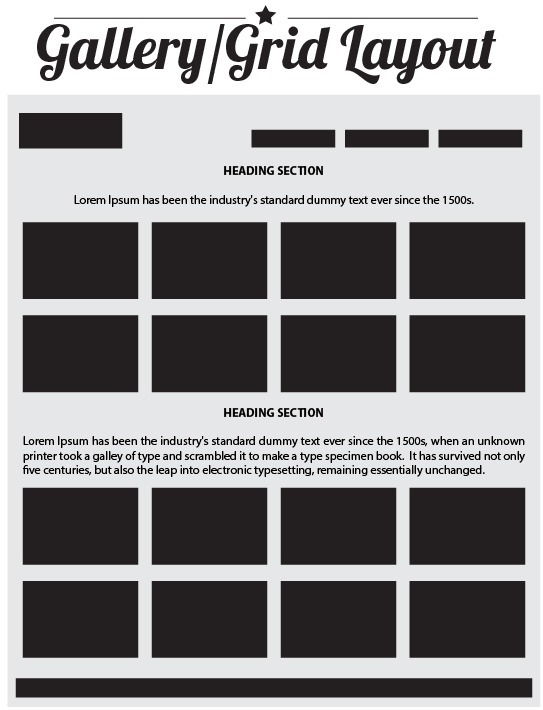 If you are able to use a program like Photoshop, Gimp or Illustrator, you could create an example layout of your website using shapes. Alternatively, you can use paper shapes and create a paper construction of your own. Once you’ve placed all the elements in the right spot, take a photo and then send it to your designer. The simple website layout allows you to showcase a mix of images and text. It also includes a number of content boxes to highlight a variety of services and benefits that your art therapy business offers. This website option is the most common as it is a balance of images and text. 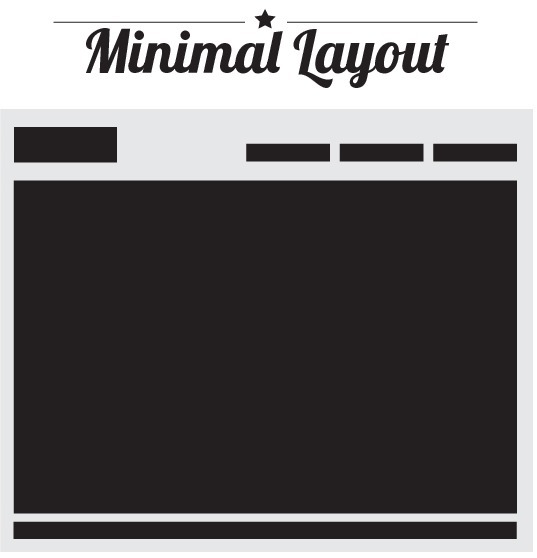 The minimal website layout is a minimalist look where one major hero image is displayed on the front page. 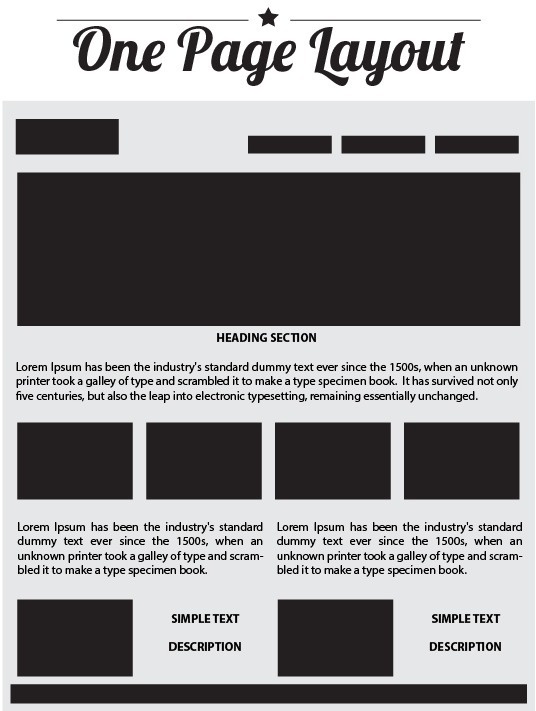 This website layout provides you with the option to capture your reader’s attention with one large image, however, it also requires your reader to be interested enough to continue to click through to read more on other pages. The one page website layout is an extension of the simple layout and provides you with an extended space to include all of your relevant practice information on one page. This website layout is excellent for mobile devices as readers don’t need to click through various pages to learn about your art therapy practice. 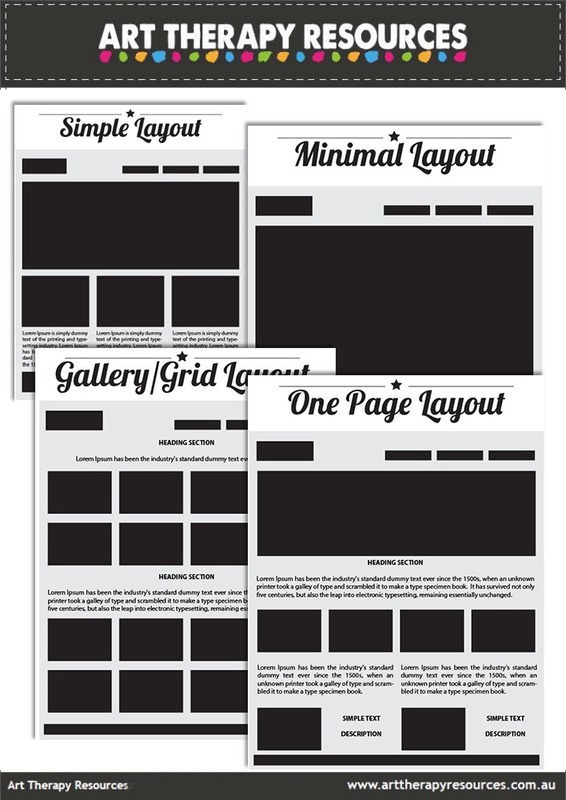 The gallery or grid website layout allows you to showcase mainly images on your homepage. This is an ideal option for art therapists who want to showcase artwork from therapy sessions which will provide the reader with insight into what happens at your art therapy practice. Included below are a few website designers below who showcase a number of beautifully designed websites. Use these as inspiration to start collecting ideas for your own design. 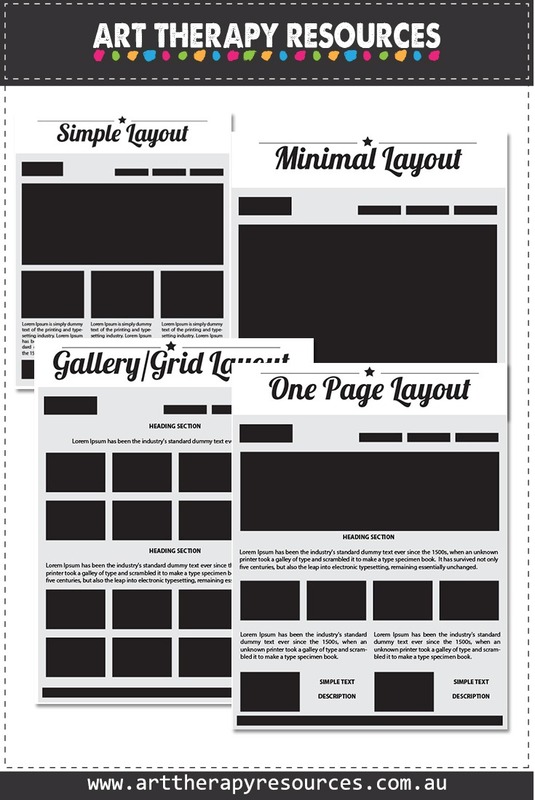 SIGN UP below to download the FREE Website Layout Guide to print and use to help create your website layout.